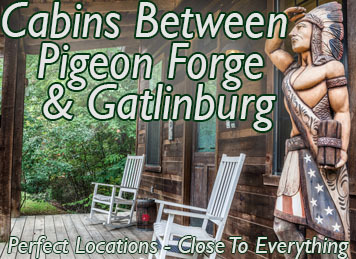 Cabins in Pigeon Forge and Gatlinburg Pet Friendly, Fire Pit, Honeymoon. More Relaxing and More Fun than a Hotel for About The Same Price. NO BOOKING FEES! 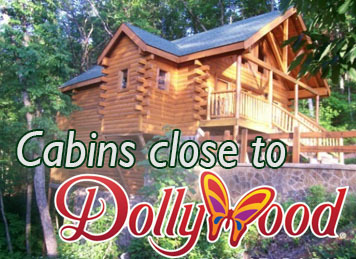 Cabins in Pigeon Forge and Gatlinburg TN. Cabins in Pigeon Forge with No Booking Fee, BOOK DIRECT WITH OWNER NOT THROUGH A NATIONWIDE MIDDLEMAN SITE. Rent A Private Cabin for about the price of a Decent Hotel Room. Relaxation with a Hot Tub. NEED HELP? JUST TELL US WHEN YOU ARE COMING AND WHAT YOU ARE LOOKING FOR. WE WILL GET BACK TO YOU WITH YOUR PERFECT CABIN. Price, Area or Amenities You are Looking For. 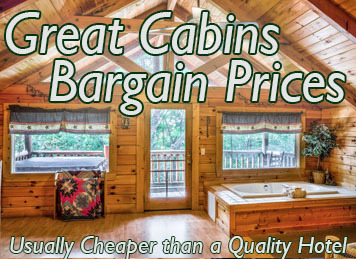 The Perfect Affordable Cabins in Pigeon Forge.. Locally Owned! Rent from Cabin Owners with NO BOOKING FEE like the others. Wake up among the Great Smoky Mountains and still be within a short driving distance of all the major area attractions. When you book your cabin with us, we can offer the best in luxury and rustic affordable mountain lodging surrounded by relaxing panoramic or wooded views. And with ample opportunities for hiking, biking, show-going, go cart racing or any other fun Smoky Mountain pastime, it’s hard to beat the value you can have on a better stay in Tennessee. Despite how much hiking, camping, and outdoor recreation opportunities that Tennessee offers, many hotel stays do not allow you to bring pets. However, it only makes sense for us to offer pet-friendly cabins. With the peace of the surrounding woods and our efforts to make you feel like you are right at home, we also make it simple to plan a family trip and include everyone’s favorite pet. When other hotels charge you a premium for pet accommodations, we are ready to offer you a better night’s sleep for less. We are happy to accomodate one small, well behaved dog in our pet friendly cabins. We do charge a small pet fee and security deposit so please contact us by email or phone to approve your dog. More families and couples are discovering the fun and excitement of a quality vacation cabin rental in the Great Smoky Mountains. However, despite how popular Pigeon Forge, TN, and Gatlinburg, TN, have become as local travel destinations, many accommodations leave a lot to be desired. We contract with professional companies like heating and cooling specialists and cleaning services to make you the most comfortable. Some hotel rentals are focused on offering basic lodging at higher pricing. And any trip to Tennessee should have a more rustic feel and style, not a stuffy and cramped hotel room. That is why for a price that is usually cheaper than a decent hotel room, you can have an unforgettable away. Family Owned Cabins in Pigeon Forge, TN offers Luxury and Affordable cabins with views of the surrounding Appalachian wilderness. However, unlike some cheap mountain cabins, you can still have a great deal while staying closer to more area attractions. For the affordable choice in private cabin rentals, just choose us for your next stay! Looking for Cabins Close to the Parkway? No one else offers cabin rentals like we do. Our guests can enjoy affordable accommodations which come with a list of great included amenities. No matter how big or small your party may be, we have an ideal cabin for you. 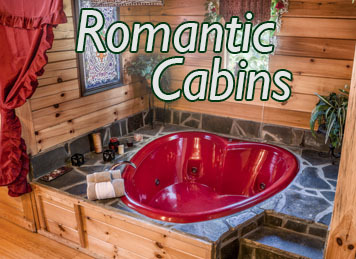 From a romantic weekend away for you and your significant other to an unforgettable family reunion, more people love the privacy and comfort of our cabins. One of the ways that we remain the affordable alternative to other lodging choices is we do not charge an additional booking fee. And while more travelers are using home rental services, there are no booking fees like the large booking service website. Savings is one advantage you have when you choose us. In addition to zero booking fees, you will also find better lodging when you book with us. Without expensive room upgrades, all of our guests can enjoy the added comfort of a private hot tub in every cabin. Room additions like this would require a suite booking at a hotel, but we prefer to include it as a standard amenity. Are you looking for a little more rustic flair in your family trip? 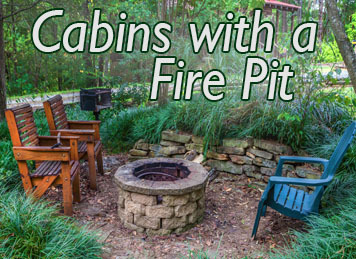 Out cabins with a fire pit is a great way to spend time together either at night or during the cooler seasons. This is the ideal place to reconnect with family tales, ghost stories, campfire songs, and the best place to make a batch of smores! Your family can feel like they out camping while still having modern lodging and a cozy bed. Enjoy truly having the best of both worlds and book your stay with us. Although most people would describe all of our rentals as “romantic cabins,” none are more romantic than our private honeymoon cabin rental options. These cabin rentals are the ideal choice for newlyweds or couples celebrating an anniversary. These cabins include an indoor swimming pool, as well as a cute heart-shaped hot tub. Regardless of the special occasion, you will not find a better destination for your romantic stay anywhere else. Another reason that our cabins offer a better way to feel at home is that each cabin available is designed a little differently. 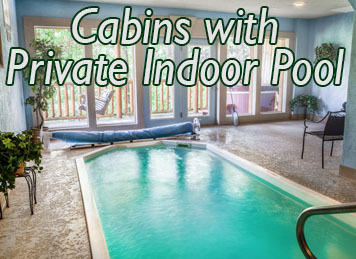 No two cabins are the same, and some feature amenities that are very different from the others. Some of our cabins are better suited for a family-friendly adventure with gaming systems and DVD players, while others are better suited for retreats and group trips, and others still are better for couples. Because each cabin is individually owned, they may offer different amenities. However, all cabins include all of our standard amenities, ensuring that your stay is perfect no matter which rental choice is best for you. Because each cabin is unique, we know that more travelers can find the perfect lodging for their group. And with cabins that are small enough to sleep two guests to larger cabins which can sleep 20, there is no group too large or too small to find peace and comfort on their trip. Our rentals are the ideal way to see Pigeon Forge without staying in the tourist district. When you book here, you and your traveling group will still be close to downtown Pigeon Forge, Ripley’s Aquarium in the Smokies, and the Great Smoky Mountains National Park. 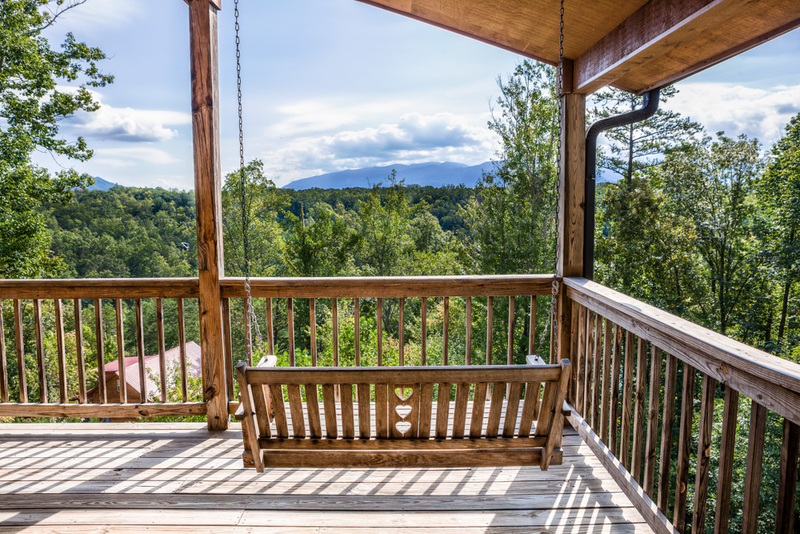 We offer rentals near Pigeon Forge, Gatlinburg, and Sevierville, being the convenient option for more visitors no matter what area they are traveling to. If you’re ready to make your next trip its best, then simply let Family Owned Cabins in Gatlinburg TN give you the quality that you deserve. Call today and ask about our current rental specials and save more on lodging!